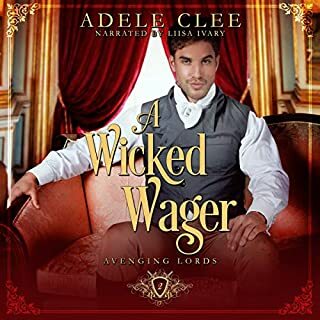 When Lord Greene wagers his daughter's hand in marriage in a card game, no one is less surprised the woman herself. The only thing that shocks Olive is that the man that he has gambled her away to is none other than the Duke of Ruin. 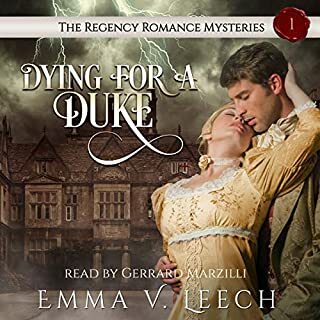 Rumors abound that the Sixth Duke of Everleigh callously murdered his late wife and killed her lover in a duel - and now Olive is to become his bride. Ruan Ashford took one look at Olive Greene and knew that he had to have her in his bed. There's only one problem - his new wife despises him. Poor Minerva. Prudish, self-righteous, and incredibly beautiful, she is to be sent to London to capture a wealthy husband. But Minerva doesn't know the first thing about flirting. The London dandies find her moralizing appalling and concoct a plan to assault her virtue - an assault that will scandalize all London society. Meanwhile, Lord Sylvester Comfrey, whom she met earlier through her father, has been keeping a careful eye on the girl. A fact she resents. She dislikes Lord Sylvester. There is something about him that disturbs her. Since her father’s death, Miss Hestia B. Stockbow has been living a lie. 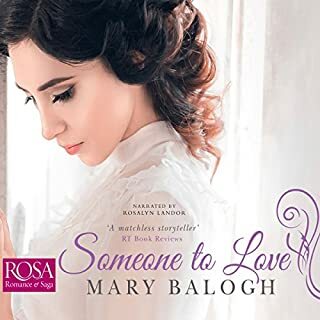 Working as a companion, under an assumed name, all she wants to do is keep her head down and forget about the scandalous tragedy that haunts her past. 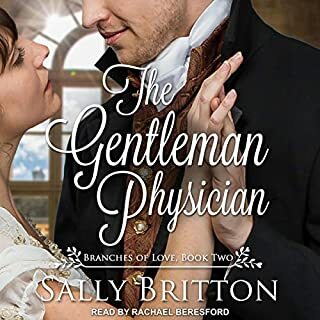 After two delicious, stolen kisses, the usually icy and aloof Alexander Delaney, Marquess of Falconbridge, finds himself entranced by Belinda Bowstock, a lowly paid companion. When he discovers that she is, in fact, his missing ward, Alex realizes there's only one thing he can do: Marry the chit and help her solve the mystery of her father's suspicious death. 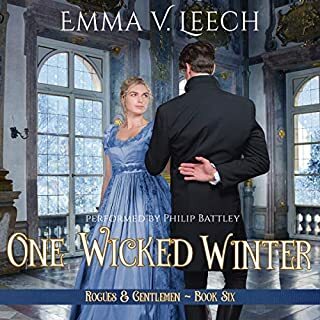 There’s only one problem, Belinda has absolutely no desire to wed the cold Lord Delaney - and she’s not the type of lady to take orders from anyone...even a Marquess. I hadn't read any of the other books in the series but I enjoyed this one very much and would happily pick up the others to listen to. A nice romance with a little bit of mystery. Greatly entertaining on a dull day at home. It is a Regency romance all the way! 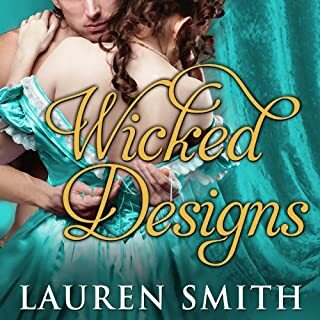 What does one usually expect from a Regency romance? Perhaps a physically and mentally strong peer of the realm? An unusual damsel often in impoverished circumstances? Balls? Grand dresses? A little mystery? A little danger? A little talk of Napoleon? This book has all the above. 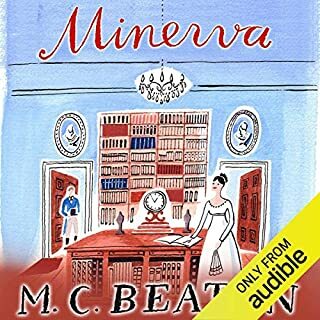 To be fair, there is nothing unusual about the story but it is a satisfying Regency listen. I liked the characters, even the supporting characters and I enjoyed the bit of mystery that didn't quite turn out the way expected. Overall enjoyable and very easy to listen to! Hestia's mother is the daughter of a viscount and her father is a successful privateer, but they live in poverty and solitude away from society. When Hestia's mother dies, her father is stricken with grief until his own passing. The magistrate declares that her father took his own life, but Hestia doesn't believe it. She's determined to find out the identity of the mysterious man who left a threatening note for her father before his death. She takes on another name and goes to work as a companion where she meets Alex, Marquess of Falconbridge, who has his own search to conduct. This is the sequel to the Lord of Heartbreak, and runs parallel to the events in that story. It's not necessary to read that one first, but I really enjoyed it and definitely recommend it! The characters in this story are very different. Hestia's had to endure a lifetime of heartbreak with her father constantly away and her mother dying. She's young and very innocent and inexperienced in the world, but has her own opinions and fights for them. Alex is much older and can be overbearing at times, but gradually changes as he sees the results of his actions. By the end, I was rooting for them hard. This style of narration is great, the male and female narrator alternate reading the chapters and perform the male or female speaking parts. It's seamless, and makes the whole thing enjoyable. I requested a copy of the audiobook, and I'm voluntarily leaving a review. 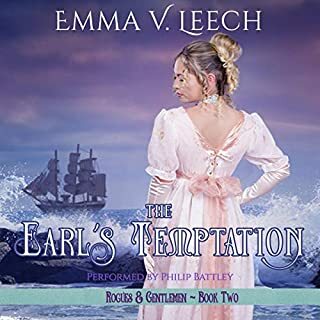 Following the death of her mother, a noblewoman whose mésalliance cut her off from family support, Hestia's father returns from the sea a shattered man. Then she finds her father dead--by his own hand? A suicide is denied burial in hallowed ground and the disgrace can ruin a family. To avoid such a disgrace, family friends provide her a character reference and send her off as a companion to a spinster--under an assumed name. 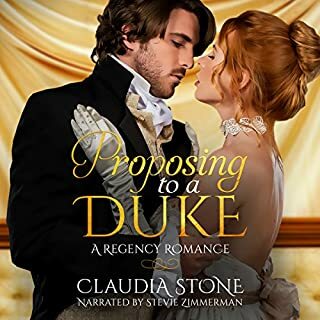 As delightfully narrated by the Duke and Duchess DeFoix, the story dances along, spinning romance and mystery, as an entranced nobleman rethinks bachelorhood and strives to convince Hestia she should marry him. This is the third book in the Series. This is the story of Hestia/Belinda and Alexander. I liked this Sweet Historical Romance. Belinda is a beautiful character. She’s strong and she knows what she wants. Alexander has to work it out to win Belinda’s heart. I really love stories when the man is the one who wants to win the heart of a stubborn and strong woman! 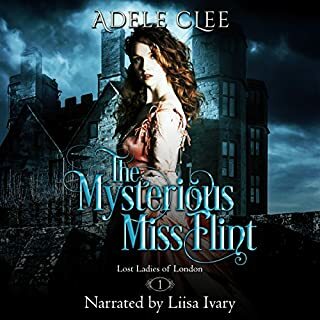 This story can be listened as a standalone, but I totally recommend to listen to the first books in the Series. I liked to see the interrelated characters from the other books. The narration was very well done and entertaining. I enjoyed my listening. This was a fun listen. I loved the narrators, I thought they did a great job in voicing the characters. 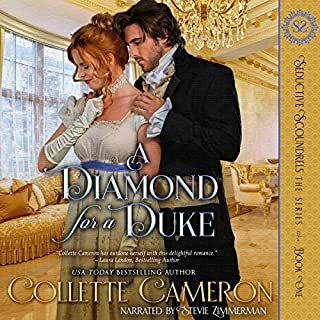 I have read/listened to the authors contemporary and historical books and in my opinion she does the historical romance a lot better then the contemporary. I loved this one as much as I loved the other two in this series. I thought she does the male character really well. 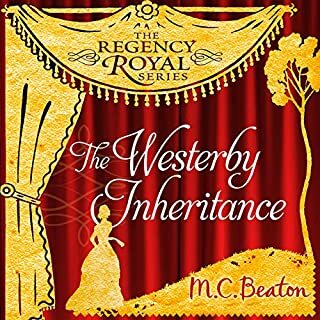 The Marquess I absolutely loved in this book. There are some funny moments too. 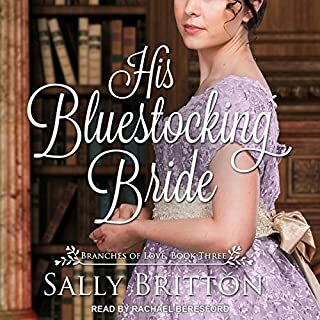 I would definitely recommend this book to those who love clean historical romance with drama and funny moments. The story and characters came to life! 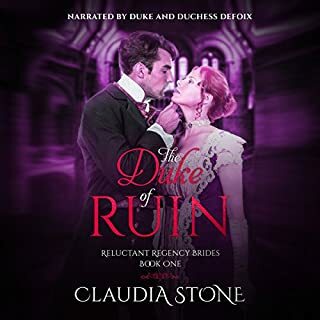 Duchess and Duke DeFoix are excellent narrators and role players. They brought the story and characters to life! I couldn't put my ear-buds down. Plot-wise, the story was satisfying and I enjoyed the overlap of characters and scenes from Books 1 and 2. Hestia, a privateer father and mother who gave up her society life, for love. Both dead within a short period of time and Hestia uses her middle name and adjusts her last name to become a companion because of her father’s reputation. This could be a standalone, but it is so much more fun reading/listening to the stories in order. In particular book two and this book where time is overlapped and you see the characters ink different ways, as you have more information. I LOVE THIS SERIES! The couples are so cute and I always love the stories the best when the man is enamored and knows he wants to marry the girl and she is reluctant for one reason or another..plus there is drama but not so filled with angst it makes it too tense! The narrators are absolutely wonderful..perfect...could not be improved upon. Different voices for different characters, wonderful accents..just PERFECT. Well worth the money/credit and time. I know I will go back from time to time to enjoy this series..hope there’s more! I got this ARC via audiobook boom and this is my voluntary review. The narrators were very good. Both made the story come to life even though it did not seem like a great story. I did listen to the whole story because I liked the narrators. Sometimes I got a little lost in the story but overall it was a nice story. Beautifully written and narrated audiobook! This is the first in the series I've listened to, but it won't be the last. 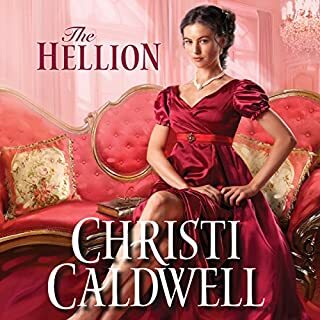 Hestia is a strong and intriguing character, but will she and Lord Delaney find lasting love? Filled with intrigue and suspense, this romantic mystery is one to be enjoyed over and over again. Definitely recommended. 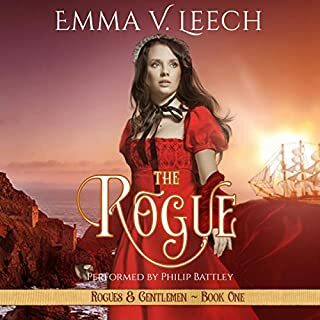 This is the first book in the series that I've read, it didn't seem to matter so I'm considering these standalone books. 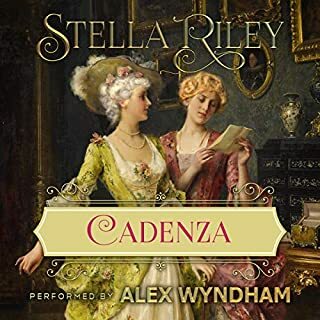 I really enjoyed this romance, it was lovely to see Alexander smitten with Hestia from the beginning and Hestia not being interested. There were some interesting plot points like Hestia's father being a pirate and Alexander being a historian, I wish these had been more developed. The narration was well done, the two narrators work well together. The character voices and the overall delivery are clear, consistent and convey the story well.